In the past year, my work has been informed by my own experiences of invisible disability and illness. Exploring the differences in these experiences with others, I've been keen to reveal the emotions behind the facade and this has led me to develop an interest in layers, the depth that can be created and the shadows that can be formed. I enjoy working with a range of materials from the traditional cloth to the more unconventional such as cassette tape. 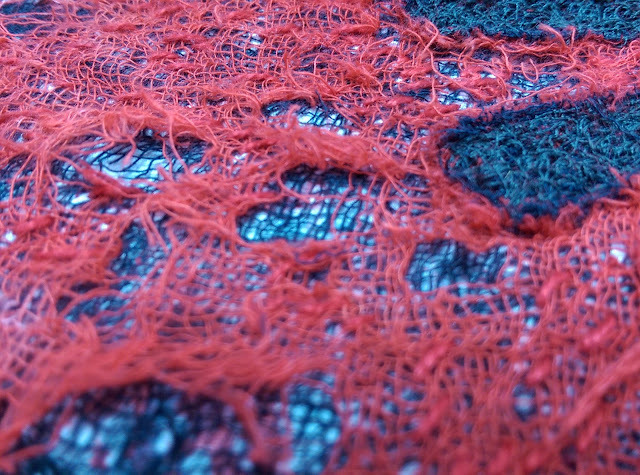 Using such materials enables me to look at using a variety of techniques from the more expected technique of stitch to the more unexpected techniques in textiles such as silversmithing.